Hector Lombard entered the UFC with much hoopla. 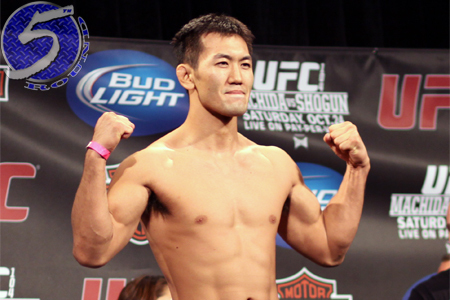 After Saturday’s split decision (28-29, 29-28, 29-28) defeat to Yushin Okami (pictured), the former Bellator middleweight champion dropped his big league record to a disappointing 1-2. According to Chael Sonnen, the UFC should release Lombard and his hefty contract. Okami easily out-wrestled Lombard to take the first two rounds. However, knowing he needed a finish, Lombard came out like a house on fire and started unloading bombs in the final frame. It appeared as though he had “Thunder” in some trouble, but for some precarious reason, Lombard decided to stay on the ground instead of letting Okami get back to his feet where he could have ended things.